Here I go on one of my quixotic missions to talk briefly about a lot of shows. 2018 has been a mostly marvelous year so far. The first 11 shows I saw were so good, I had trouble ranking them and knew that #11 from that original 11 will likely be in the top third of the rankings list by the end of December. 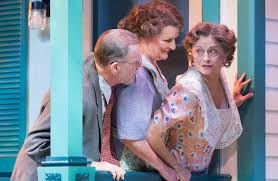 I am finding that classics and revivals are more satisfying than new plays, which tend of be self-conscious and preachily heavy-handed. That said, there are two exceptions. At the time of this flight of ambition, I have seen 19 productions in the Delaware Valley. Here’s my attempt to blitz through them. Some short takes may be expanded later. Oh, and for those who missed the radio and Facebook announcements of the 2017 Philadelphia Theatre Critic’s Award recipients, they are for Best Production, “Jesus Christ Superstar” at Bristol Riverside Theatre; for Best Director, Keith Baker for Jesus Christ Superstar at Bristol Riverside Theatre; for Best Actor, Akeem Davis for “Marcus/Emma” at InterAct Theatre; for Best Actress, Lesli Margherita for “Guys and Dolls” at Bucks County Playhouse; for Best Supporting Actor, Joseph Gaines for “Elizabeth Cree” at Opera Philadelphia; and for Best Supporting Actress, Suli Holum for “Cabaret” at the Arden Theatre and “Company” with 11th Hour. As usual, reviewed shows will be listed alphabetically. THE DIARY OF ANNE FRANK, People’s Light & Theatre Company, 39 Conestoga Road, Malvern, Pa., through March 31 — David Bradley’s production of this classic is a sterling example of a strong scripts coupled with a great ensemble. Most people know the story of the Franks, another family, and a single dentist hiding from Nazis in an Amsterdam warehouse annex in an attempt for survive the German ravages of the time. Many have visited the Anne Frank on the Prinzengracht in Amsterdam, as I have three times. No familiarity with the Franks’ story or fate can take the intensity of immediacy away from Bradley’s telling. 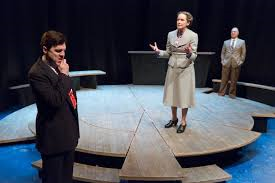 While the PL&T program scared me into thinking this production might be an overdone “think piece” meant to conceptualize the Anne Frank saga, I was quickly relieved and delighted to see Bradley and his cast deliver a straightforward, honest, and naturalistic reading of the material. 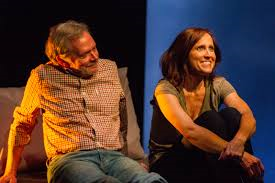 The Wendy Kesselman revision of the original Goodrich-Hackett script adds texture, providing a broader picture of the life the Franks and van Daans lived in their refuge while keying into more individual factors about Anne, her mother, and Peter van Daan. Bradley’s cast is to be congratulated for creating the consistent feeling of people living their lives. There’s no self-consciousness on the PL&T stage. The material is direct and speaks for itself. Brittany Anikka Liu, the Anikka being a variation of the affection name Otto Frank called his daughter, is a marvelous Anne Frank, impetuous and incorrigible in her liveliness as an 11-year-old in hiding, mature and thoughtful as Anne becomes a teenager, begins to see things more complexly, and awakens to interest in boys, the only one around being Peter. 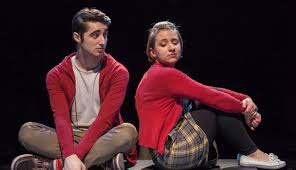 Tyler S. Elliott keeps correct distance from everyone in early scenes, as Peter asserts individuality and independence the best his teenage self can but softens subtly and definitely to Anne in a sweet, laudably real portrayal. 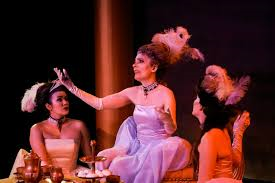 Melanye Finister does her expectedly brilliant job at the emotional Mrs. Van Daan. 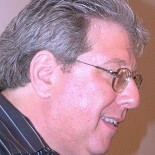 Christopher Patrick Mullen also comes through with his usual excellence as the dentist, Dr. Dussel. 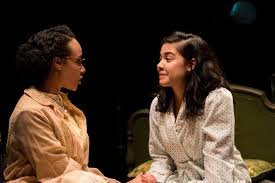 Although many of the performers were new to People’s Light, which usually draws from an ensemble that has done dozens of shows together (See “Morning’s at Seven” review), the veterans and newcomers in “The Diary of Anne Frank” came together as if they has the same experience and chemistry. Deborah Green, as Mrs. Frank, is a particularly satisfying addition to the fold. 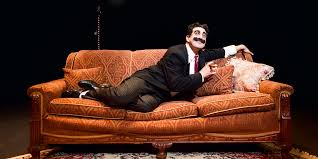 AN EVENING WITH GROUCHO, Bucks County Playhouse, 70 S. Main St., New Hope, Pa., through February 25 — Frank Ferrante can turn into his boyhood and current idol, Groucho Marx, on a dime. He begins a story in his own voice, as Frank, but gets every tone and inflection right when he lets Groucho take over for punch lines and embellishment. Like Groucho, Ferrante proves to be a vaudeville trooper. In addition to barnstorming the U.S. and points abroad with his one-man show, he knows how to prevail over a tough crowd. The New Hope audience was of the -sit-on-your-hands, nod-in-recognition-instead-of-laugh type, but Ferrante never let his enthusiasm, energy, of lightning quickness as Groucho flag for a second as he valiantly soldiered on with high-class entertainment and some deliciously digging ad libs. MR. BURNS: A POST-ELECTRIC PLAY, Villanova Theatre at Vasey, Lancaster Pike at Ithan Avenue, Villanova, Pa. through February 18 — From Moses to Luke, from Homer to Shakespeare, from the Mahabharata to Beowulf, people love a good story. The mentioned stories, and several others, have been passed on for generations, some gratefully and miraculously preserved during the period between Mohammed and the Renaissance. What if those stories disappear? A more potent blight than a period of human ignorance comes to wipe away all literature and achievements such as electricity. That is the case following whatever apocalyptic catastrophe occurs prior to Anne Washburn’s “Mr. Burns.” (Although no one in the time Washburn posits remembers how to harness electricity or build a generator is beyond me. I guess it just makes for a better plot scheme.) “Mr. 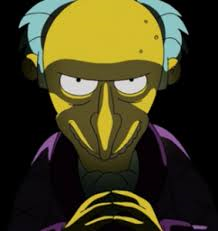 Burns” definitely has a plot scheme. Survivors roam its dystopian world. There’s expected fear or suspicion of any stranger who wanders into an encampment whose denizens have been vetted and approved. Well, I didn’t quite make my goal. I was able to write about half of the plays I’ve seen in the Delaware Valley in 2018. Twelve more await, with Bristol Riverside’s “The Producers” in the wings. Stay tuned for those. I’m in the mood, in the groove, and motivated now to move! Are you interested in reviewing or writing about our production of Bullets Over Broadway? YEs. I am a fan of the show. 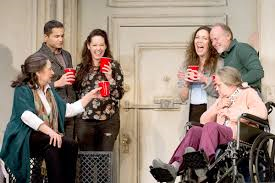 This entry was posted on March 8, 2018 by nzoren in Theater Reviews.